AD Piston Ring manufactures a Hook Step Piston Ring, which is a custom joint configuration, developed by us for best use as a sealing ring in blind installations. It is ideal for use in sealing applications requiring blind installations or wherever restricting ring movement is necessary during installation. It’s an excellent by-directional seal, it seals on two surfaces. Hook step piston rings can be made of cast iron and bronze aluminum materials. 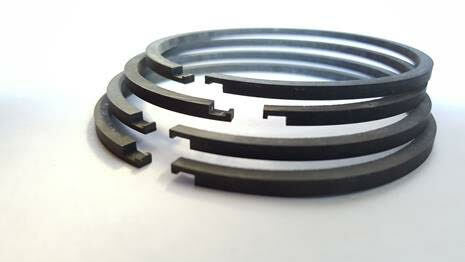 Hook step piston rings are available in 2 inches to 30 inches.